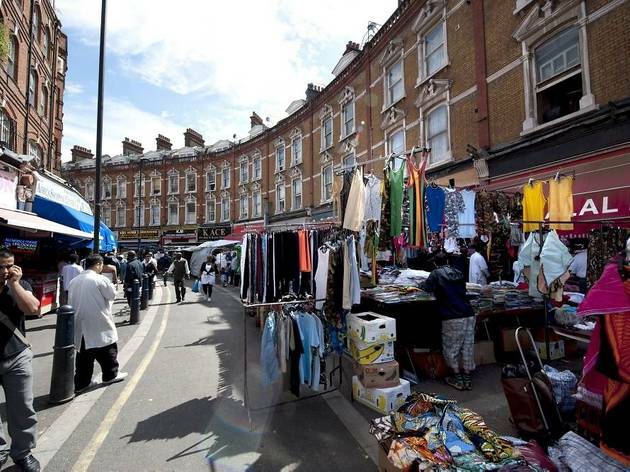 Brixtonites love their neighbourhood – so if you've lived there long enough, here are a few observations that'll inevitably ring true. No matter how many times you’ve promised yourself you won’t, chances are come 11pm on a Friday after several hours drinking and no sign of dinner, you’ll find yourself ordering 20 chicken nuggets, faster than you can say 'gentrification'. There’s a high chance this may be repeated at 3am on Saturday night (damn you Maccie D's and our poor self-control). The buzz of Brixton may have attracted you to the area, but the sheer amount of people on the high street at any time of day or night is a menace, especially when you’re trying to run for the tube to meet that friend who you’re already late for. An hour's queue for an Honest Burger isn't ideal either. On the plus side, there’s never a dull moment. You know the difference between the Village and Market Row while tourists are usually walking around in circles, looking confused. Getting on the Victoria line at Brixton means that you can always get a seat, even during rush hour. And those in the know will happily wait one minute for the next tube to pull in where you’ll get your pick of the bunch. And the speed at which you get to Oxford Circus is still impressive. Real Brixtonites don't bother traipsing around the big Tesco or queue for years in the Sainsbury’s local. From fruit and veg to meat and fish, locals know Electric Avenue has loads of shops where you can pick up everything you need fairly cheaply (and we don't even mind the 'interesting' smells from some of the produce). As unlikely as it may seem, the Prince of Wales, which has an entrance next-door to KFC, has an awesome roof terrace, which hosts day and night parties throughout the summer. The Duke of Edinburgh on Ferndale Road opens up out back to reveal an immense space that hosts barbecues in the warmer months. The Grand Union on Acre Lane is another pub with a huge garden that looks like a Thai beach paradise complete with wooden huts and tuk tuk. In the winter, the garden gets a cover on so the space can still be used. ...and blog, for that matter. The team behind the Brixton Blog, which was founded in 2010, now also produce a free newspaper to highlight what's happening in the community. 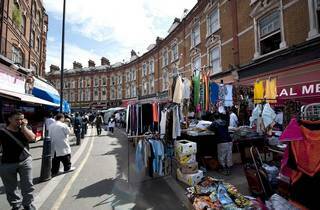 Find out more in our Brixton area guide. A proud south Londoner, Natalie extols the virtues of all things south of the river over at South London Blog. She balances her love for tapas and red wine with yoga and running. When not at home in Streatham, or exploring London, she'll be found looking for adventure in sunnier climes. Follow her @S_London_Blog.